Summary: If you have atrial fibrillation, learn how to get in rhythm and stay in rhythm at the Atrial Fibrillation Patient Conference on March 28-29, 2015, at the Hyatt Regency DFW Airport. Reading time is approximately 3–5 minutes. Do you or a loved one have atrial fibrillation? StopAfib.org, an organization created by patients for patients, welcomes you to join us for a weekend conference to learn all about atrial fibrillation. Come join us March 28 & 29, 2015, at the Hyatt Regency DFW Airport to hear our all-star cast of Afib experts share ways for you to get in rhythm and stay in rhythm. Our all-star faculty of world-renowned atrial fibrillation experts will help you to understand what you need to know about Afib and how to work with your healthcare team to get the best results. They will explain your options for treating Afib and talk about the most recent developments in Afib treatment. They will provide much-needed answers to your questions. The purpose of this conference is to help patients and their families learn what they need to know to understand Afib, manage their treatment, and even get rid of their Afib. 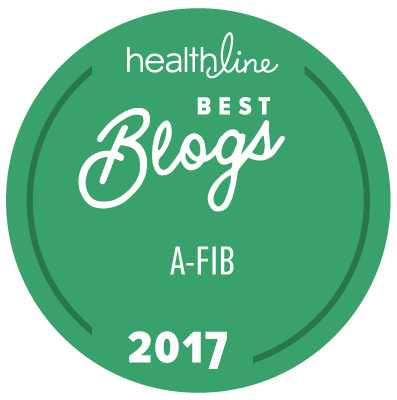 You will learn what Afib is, why it is a problem, and how to cope with it, including your options for getting in rhythm and staying in rhythm. Have you ever wanted to ask your questions of top Afib experts, or engage in a dialogue with them? Now is your chance. This is a not-to-be-missed event! You will also get to visit with industry sponsors such as Bristol-Myers Squibb and Pfizer, Daiichi Sankyo, Boehringer Ingelheim, Janssen, Sanofi, AtriCure, Boston Scientific, Medtronic, Topera Abbott, AliveCor, and AfibAlert. The Heart Rhythm Society, American College of Cardiology's CardioSmart, and My AFib Experience are also co-sponsors of the conference. Unfortunately, we have only a limited number of seats, so you’ll want to sign up right away so you don’t miss out. The hotel is located in the airport and just minutes away from the terminals by free hotel shuttle. Conference registration is just $97 per person and includes the day and a half conference, program book, refreshment breaks both days, and lunch on Saturday. For questions or to register by phone, please call +1-844-249-8567 during business hours. Lodging: We have secured a special discounted rate of $119 per night plus tax for attendees. For room block reservations and directions to the hotel, see www.getinrhythm.com/#location. If you’re not yet convinced that you need to be there, then take a look at the videos from our previous half-day conference. Now think about how much more you’ll get from a weekend conference that is three times as long. But don’t wait – seats are limited and you wouldn’t want to miss out.